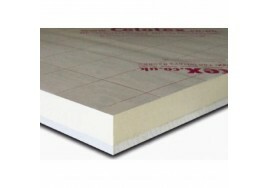 Celotex is one of the market leading names within the UK insulation market. Their range of multi-purpose PIR insulation boards are designed to give high quality insulation to floors, walls and roofs. All Celotex insulation benefits from zero ozone depletion potential (zero ODP) and a low global warming impact (GWP). 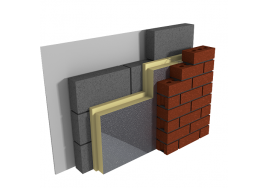 The CW3000 (replacing the CW4000) range is typically used in cavity wall construction but can be used elsewhere when smaller sheets are required. The PL3000 (replacing the PL4000) insulated plasterboards are generally used for habitable roof space areas, i.e. loft conversions. They are also commonly used for lining external walls where an added level of insulation is required. In this instance, PL3000 sheets can be mechanically fixed, using appropriate fixings, or can be directly bonded to masonry walls with the correct dry-lining adhesive. The use of the PL3000 sheets reduces installation time as the insulation and plasterboard can be fitted in one operation. We’ve featured the most commonly used and readily available Celotex insulation products on this page. Celotex also offer a vast array of more specialist and high performance products such as the SW3000 external wall insulation, FR5000 and TD4000, which we can also source for you, along with other products in the Celotex range. If you would like to get in touch with our helpful, friendly team, we can arrange this for you, please call us on 01274 602367. 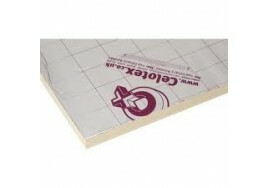 Celotex PL3000 (replacing the PL4000 range) insulated plasterboard is made by bonding a la.. Premium performance PIR insulation suitable for for full fill cavity wall application. Sold in full ..